I took the shot on the left a week ago today while covering a 5 day corporate event in New Orleans. 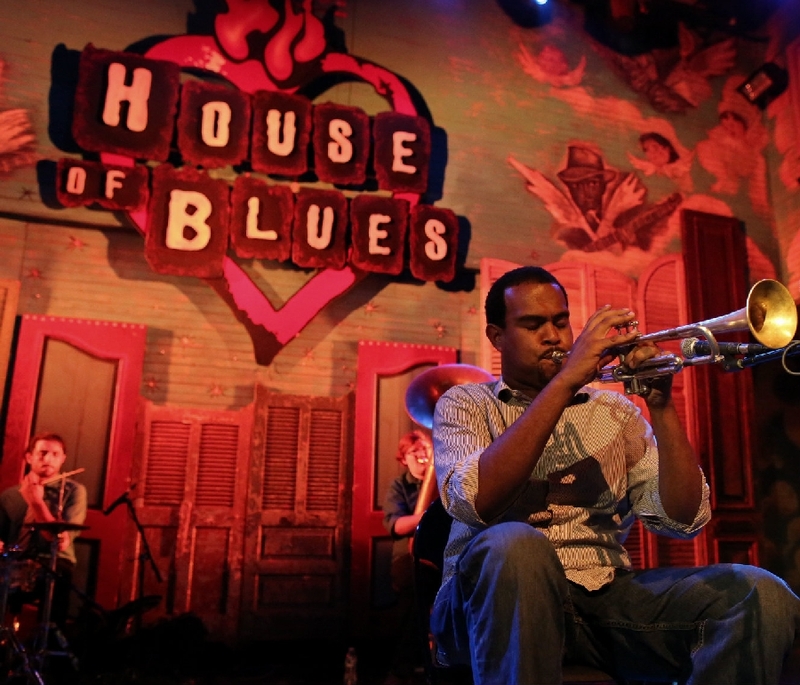 This is the trumpeter that you see further down this post on stage at the House of Blues in New Orleans. 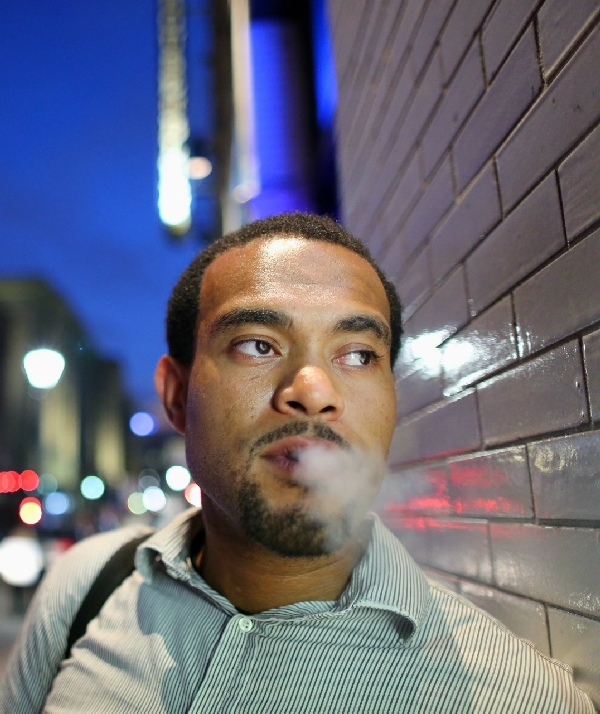 After the show, the trumpet player was standing on the sidewalk smoking a cigarette. I asked him if he would lean against the wall with the light shinning from behind me onto his face. The image on the left is the final result. I am fortunate to be able to cover corporate events from coast-to-coast and I get to shoot in a lot of cool venues. It's a lot of work traveling with gear, but when I get shots like the two on this post, it makes it all worthwhile. Neither shot has been manipulated much in post. I simply did minor tweaks at best. Although technology has come a long way and phones yield some nice images. Both of these images were shot with a Canon 5D Mark III with a 24mm f/1.4 lens. One of the nice things about being a corporate event photographer is that I get to go beyond the studio. Stage shots and street shots are just a couple of the many different types of images that I have an opportunity to capture while covering corporate events around the US. I love being a full time professional photographer and hope you enjoy viewing these images. Corporate Event Photography in Quecbec City Canada – WOW! What an Awesome Time!